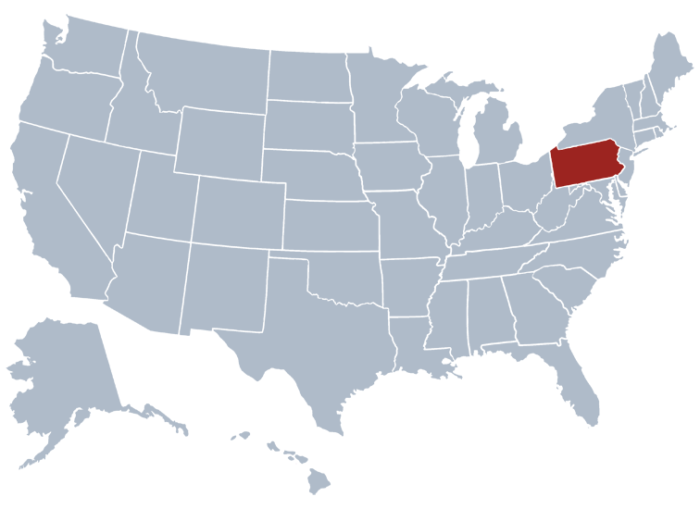 The responsibilities of Pennsylvania Secretary of State include authorization and filing of entity as well as administration of policies and rules for forming new entities in the state of Pennsylvania. The SOS’s business corporation registry records ay registered entity with the state. Entities that are registered with the state such as Corporations, Limited Companies, Limited Liability Partnerships, Limited Liability Companies, and Limited Partnerships provide their information to the registry. You can easily perform your search by following our detailed instruction on the procedure. We have a web-based search tool that can let you browse the SOS’s database. Starting With, Any Words, Soundex, All words, Exact Match, and Corporate Name Availability are the options you can find in the search page. With the help of these options, filtering your search results will be easier. Provided below is the screenshot of the search page for business entities registered with the state of Pennsylvania. You can be directed to such page by clicking here. Fill the search field with the name of the corporate entity. In this case, we are searching for “Amekor” and we set starting with as an option for the search criteria. By clicking the Search button, the result page will show a list of entities and their respective details such as entity number, status and type. You can learn more about a certain entity by clicking on its name. The Secretary of State Pennsylvania, or also called the Secretary of Commonwealth of Pennsylvania, is an elected constitutional office that holds many different public responsibilities. Carol Aichele is the current of this office. What are the Functions of the PA Corp Search? The Secretary of State of Pennsylvania is the state’s chief election official as well as the keeper of the State’ Great Seal. In his office, he authenticates public documents and authorizes government documents using the seal. The office also facilitates a PA corp search online tool for those who want to know about a certain business entity.